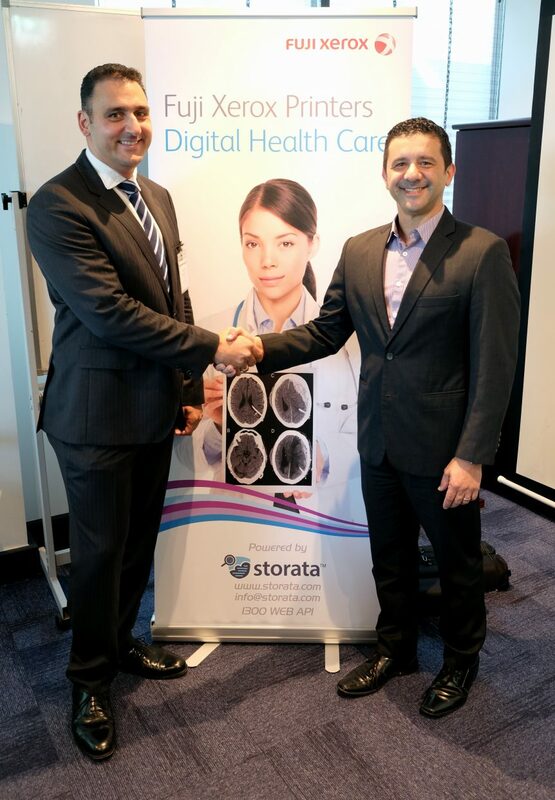 As Australian Healthcare Week 2017 gets underway, Fuji Xerox Printers and IT Systems Integration leader Storata Digital Solutions are working together to help revolutionise the healthcare industry by combining affordable filmless imaging, efficient radiology workflow and digital cloud based solutions. The two companies will create opportunities to help digitise healthcare at a time when imaging centres are looking to reduce costs and improve their patient experience. The partnership gives imaging centres better access to technology that allows them to print diagnostic images in high resolution colour to paper, rather than film, and digitally share DICOM images with referring physicians. This is perfect timing with Healthcare Week 2017 focusing on digital healthcare and adapting to the diagnostic and collaboration solutions of the future. Healthcare today still relies on hard copy film for communication between the patients and referring physicians. Instead of relying on expensive film, diagnostic images such as X-Rays, CT Scans, MRIs, Ultrasounds and other medical images can be printed directly to paper rather than film. One of the significant benefits is cost savings, imaging centres can save up to 80% with filmless printing. An added bonus is that colour print outs can be printed with the imaging centre’s logo for branding and marketing purposes. The days of hanging onto and storing old X-Rays are over. With the emergence of new technology, patients are now expecting a different type of experience from the medical sector — diagnostic imaging is no different. It’s a major advancement for digital healthcare, allowing patients to have immediate, high resolution paper-based colour print outs that they can take to their referring physician or GP. The images can also be digitally shared and integrated with other physicians’ systems providing access to the full range of diagnostic tools right on the physicians’ desktop. Fuji Xerox Printers’ General Manager of Channels for Asia Pacific David Borg said that working together with Storata Digital Solutions was a new opportunity for healthcare professionals to leverage digital solutions. “Teaming up with Storata is a natural progression for Fuji Xerox Printers, with our focus on providing customer solutions, we are now able to incorporate Storata’s industry expertise in making IT solutions accessible to small and large business,” he said. “Our focus is always on the customer who wants to save money, increase productivity and efficiency in the office, this translates easily into Health Care at a time when digital solutions offer new opportunities,” he said. “With unprecedented levels of investment in research and development, the team at Storata Digital Solutions are bringing cutting edge technologies such as deep learning algorithms, 3D volume rendering, cognitive intelligence and advanced digital medical records management to market at an accelerated rate. This is a great opportunity to work with Fuji Xerox Printers and we’re really excited about the opportunities this partnership will bring.” Adam concludes.